It’s a safe bet that right this minute, someone, somewhere, is advising a small business owner to start a blog. And it’s an equally safe bet that this blog will be a waste of time. Blogging used to be an effective strategy, but its current popularity is a holdover. And case study after case study obscure the fact that successful blog-driven marketing campaigns are a rarity; unvisited, abandoned company blogs are far more common. Blogging is not just one of those strategies that needs to be tailored to specific situations: it’s a strategy that, by default, will fail. The online content business has gotten insanely competitive since blogging started, and only the most aggressive sites succeed. And there’s plenty of over-optimistic competition. Why Does This Seem Like Good Advice? Starting a blog was a great way to distinguish your business from a horde of local businesses offering pretty similar services. Even if you weren’t a great writer and didn’t have a ton of insight, merely giving people an inside look at how the business really worked was enough to give you an edge. That was true from roughly 2003 to, oh say, 2004. But blogs are no longer unique—if you’re writing a blog, you’re competing on writing quality, insight, and marketing chops. But if you’re writing a blog to promote a small business, you’re probably a dentist, a plumber, an accountant— you’re pitting yourself against professional bloggers, both in the industry and at local news venues. On top of that, SERPs are less forgiving than they used to be. In the early days, a local florist’s blog with a couple solid links could rank #1 for a term like “[city name] + florist”. Now, that blog is below three AdWords slots, seven local results, a list of related terms, and a geographic disambiguation page. For users, that might be positive: an algorithm designed to detect topical authorities is not an algorithm designed to facilitate transactions, but lots of searches are transactional. You write something interesting about being, say, a podiatrist. People hear about your podiatry blog, and link to it. These links make Google treat you as an authority on podiatry; your site copy indicates that you’re in, say, Des Moines, so they rank you for [Podiatry or something similar] + [Des Moines or somewhere nearby]. You write the 10th most interesting thing about podiatry that day. Content produced is growing faster than time available to consume it, so the minimum threshold for interesting content keeps going up. That’s why big media companies keep launching blogs, and why so many rapidly-growing blog networks focus on consumer-facing content like celebrity gossip. The “macro”-situation isn’t the only problem: even small business blogs that do get read tend to miss some big opportunities. The default configuration on many blogging software packages allows massive category pages to get indexed. This does generate some traffic, but mostly from extremely long queries that include keywords found in multiple blog posts. These queries are low-quality traffic with a very high bounce rate. Very, very few people will subscribe to a local business’s blog unless they already like the business. To turn new blog visitors into new customers, every blog post should close with a relevant call-to-action. 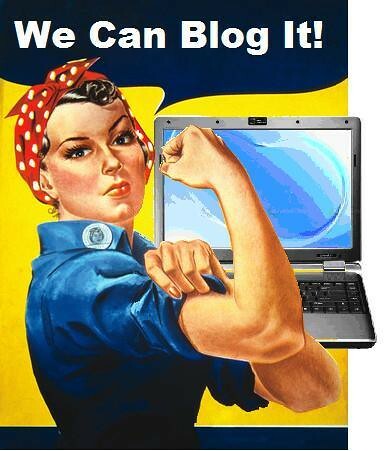 What’s the best outlet for a small business owner’s blogging energies? A newsletter. Newsletters cut through the clutter, and can be crafted to sell to existing customers. Thanks to services like Constant Contact and Mailchimp, they’re about as easy to set up as a typical blog platform. These are not purely small business problems, but they’re endemic to the field. The main reason for this is budgeting and rounding: at a big company, someone might work 40 hours per week running an in-house blog and doing related activities. If they’re not pulling their weight, that will be readily apparent. But at a company one tenth the size, an in-house blogger might spend 4 hours per week on the blog. It’s hard to count that as a direct cost, so it’s hard to measure the return on investment. Blogging certainly isn’t dead. In fact, its liveliness is part of the problem; there are just too many great writers out there, so competing with them is hardly the optimal way to invest time and energy. Spend that time cranking out well-targeted, well-crafted static landing pages, and promoting them through email newsletters when it’s warranted. The net result is the same kind of work, with a much higher return. It won’t show up in fancy case studies or popular blog posts, but it will make an impact on the bottom line. Image used under Creative Commons, via Flickr.